Shouts to Nimrod Journal and Eric Morris-Pusey for this thoughtful review! 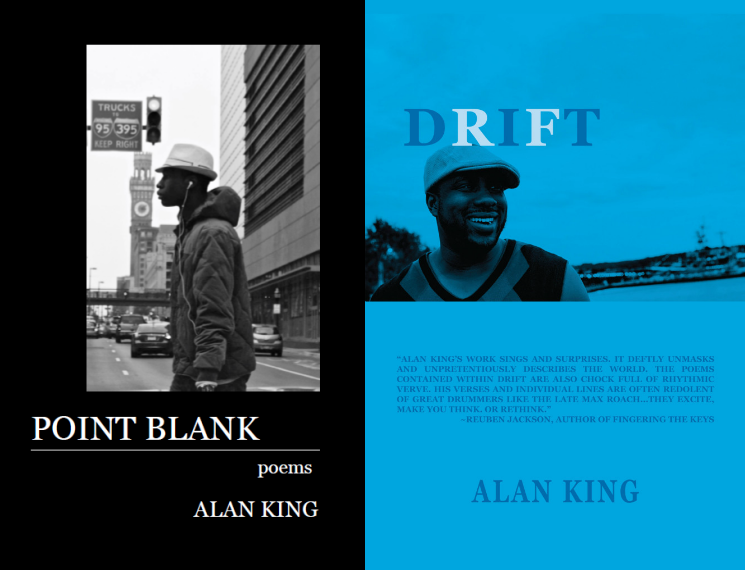 Some of the most exciting works of poetry defy easy categorization, and Alan King’s Point Blank (Silver Birch Press, 2016) blurs a lot of lines. Most of the poems are more narrative than lyric, but they still have the freely associative qualities of many of the best lyric poems. While some of them are violent, they all display a deep humanity and gentleness at the same time. There’s a good deal of irony, too, but it isn’t usually delivered with detachment or a bitter laugh. Sometimes irony just is. Maybe paradox is a better word.